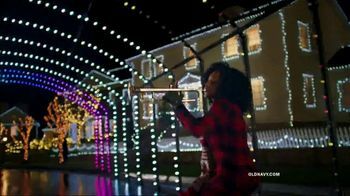 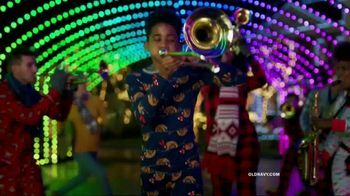 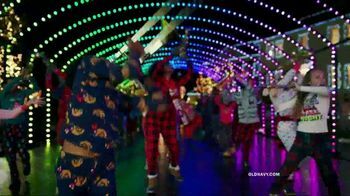 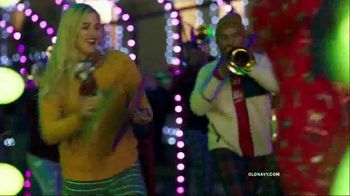 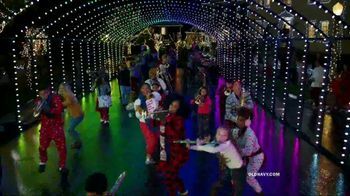 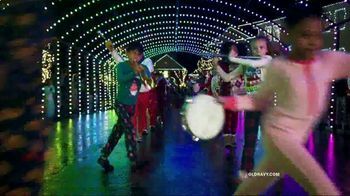 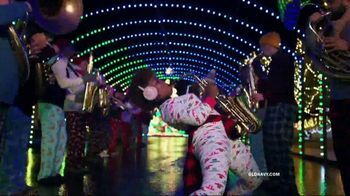 Beneath a multi-colored arch of holiday lights, kids from all over the neighborhood emerge in their pajamas and cozy sweaters to perform a brass-heavy rendition of Harry Belafonte's "Jump in the Line." 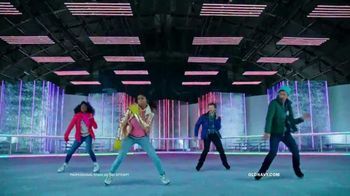 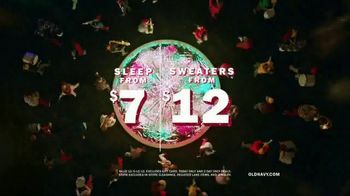 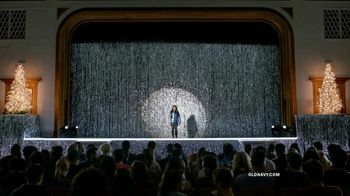 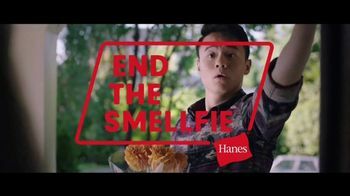 All of this pageantry is in celebration of Old Navy's sale, during which the store is offering up to 60 percent off throughout with sleep starting at $7 and sweaters starting at $12. 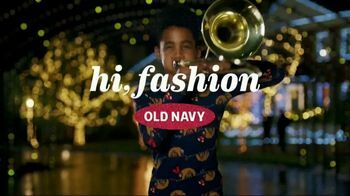 One of the onlookers recording the performance on his phone also takes some time to shop the sale online with in-store pickup.